As we enter the Holiday season, it's good to reflect on what we are thankful for. I am thankful for good content, but it has to meet certain requirements in order to be considered "good." One such requirement is that it must be valuable: Does it teach me something new? Help me solve a problem? Inform me on the latest trends or industry changes? These types of content are what push us to learn new things and to think differently-- something we should all be thankful for. Well, IIoT devs, have I got a valuable list for you! I debated whether to present this list in ascending or descending order, and settled on descending because I love a good countdown. Just a note: #1 is near and dear to my heart - I think you'll really enjoy it, too! Whether you're new to DDS or a seasoned expert, we've got something for you in this list. If you're new to using Connext DDS and are not sure where to start, this is for you! New to everything DDS related? First, you need to read this whitepaper. Next? I'd head on over to the on-demand webinar/video content and select something that interests you. Cyber security and space robots? We've got you covered. Looking to try our latest version of Connext DDS 5.3? Want some installation help? Maybe a jumpstart on getting to hello world? Done and done. Are you a seasoned Connext DDS user? Well then, you're not Getting Started. I recommend you check out #1 at the bottom of this list. It is totally up your alley. Some newsletters seemingly flood your inbox multiple times a week, are graphics heavy and don't provide much value to you, the recipient. The RTI Newsletter is the opposite. It contains information that keeps you up to date, informed and possibly ahead of the curve (you'll be among the first to learn about any new free downloads, podcast episodes and eBooks!). Click here to subscribe. If you're a developer and you use Connext DDS, you're probably already a member of the RTI Community. 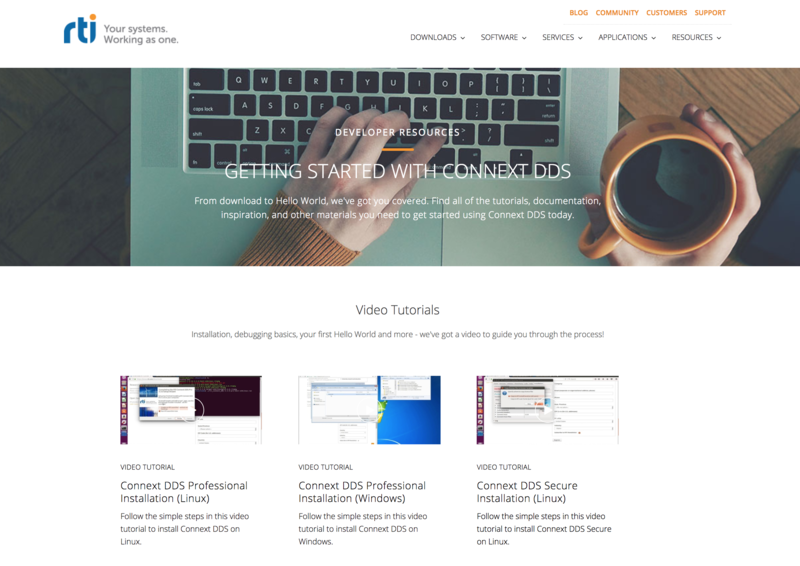 If you're a developer who uses Connext DDS and you aren't a member, then I just have to ask: What are you waiting for?! 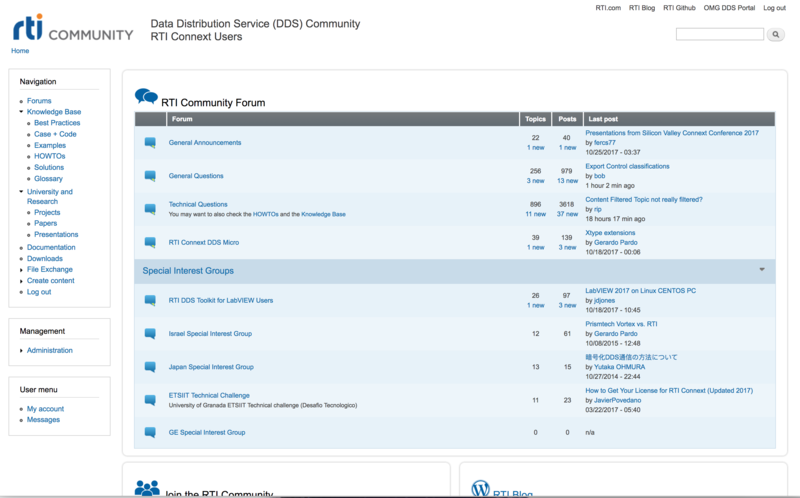 The RTI Community provides you with all kinds of benefits including: free support via the technical forum, a Knowledge Base that's full of great content, links to all of our documentation and more. Join today! 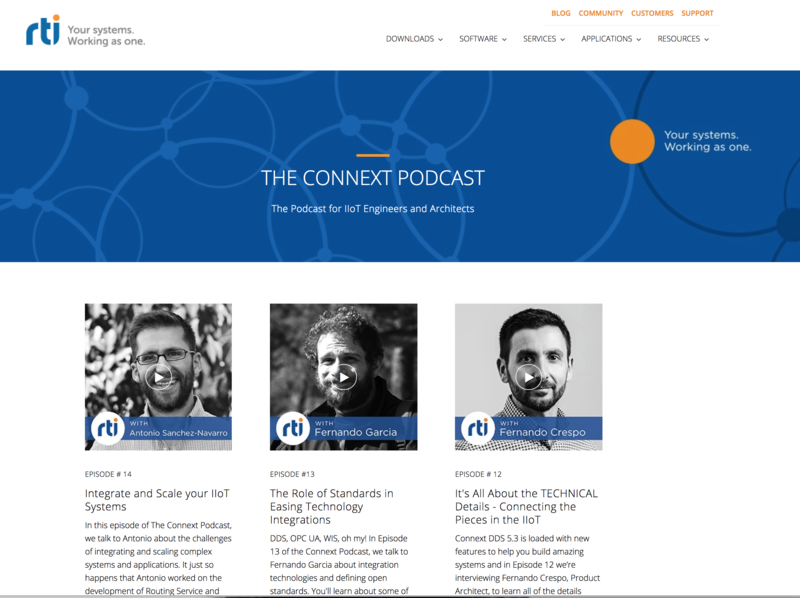 As the tagline states, The Connext Podcast really is for you - the engineers and architects! Every other Wednesday a new episode is released where you can listen to us answer the important questions, like, "Can you explain DDS to me like I'm a 5 year old?" (Yes, we can). For a quick recap of the episodes from the past 5 months, listen to Episode 15 - State of the Podcast. As an added bonus, this episode includes a short segway into what RTI Labs is (see #1), and if you don't already know about it, you need to listen! Case+Code is a set of use case-based examples to help take you from the problem that you have – tracking vehicles, sending real-time data over a WAN or distributing video data to many receivers – to real coding and configuration that can get you started right away. All you have to do is visit the main Case+Code page, click on one of the 6 use cases and you'll be taken to a page with step-by-step instructions, links to all of the files required to run the example (some are located in our GitHub repo) and more! If you like tutorials, staying up-to-date on new features and capabilities of RTI Connext DDS and everything inbetween, you need to subscribe to the RTI Blog. Today. I believe that RTI Labs is our top developer resource because not only does it grant you free early access to our new tech, but it provides you with a mechanism to influence our product roadmap. Yes, you read that correctly! 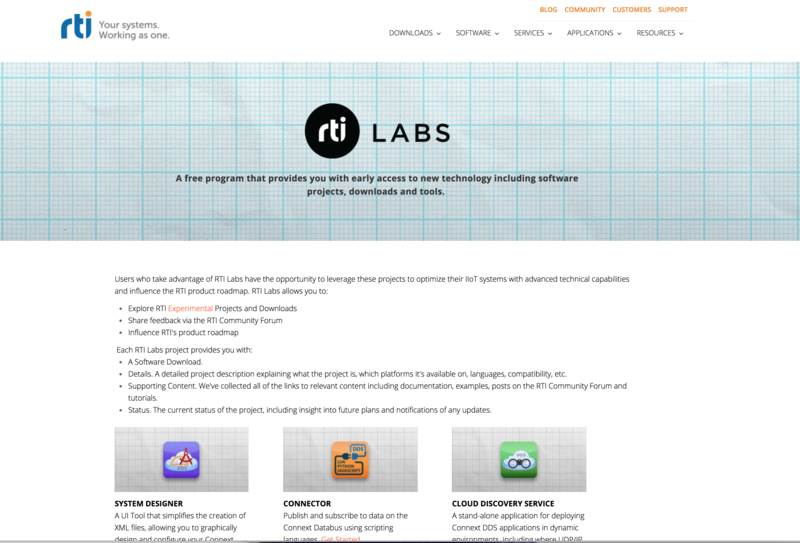 RTI Labs projects are at a phase where we want to know what you think of them - do they work for you? What would make it better? Would you like to see this in our next release? Take these 3 projects out for a spin and let us know. We'll use your feedback (posted to the RTI Community forum) to help guide the decisions for how to move forward. 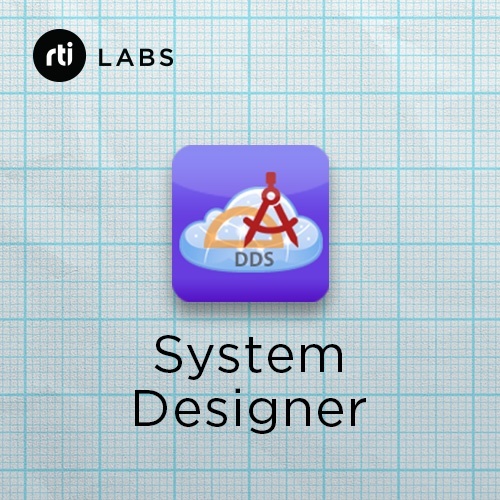 To learn more about these 3 projects, head on over to https://www.rti.com/labs. We've got a UI tool that allows you to graphically design AND configure your Connext DDS Systems. Oh, and it's FREE.